National security strategies should aim at the creation of national and international political conditions favourable to the protection or extension of vital national values against existing and potential adversaries. Unfortunately, in spite of having been subjected to terrorism for over three decades, neither have we defined a national security strategy nor discussed how to go about establishing credible deterrence to Pakistan’s proxy war. We have failed to acknowledge the strategic significance of sub-conventional warfare. In today’s world, one cannot guard one’s house without patrolling the streets, no matter what barricades are erected. For the umpteenth time, Pakistan’s proxy war was at display on December 05, 2014, in the Kashmir Valley through three almost simultaneous terrorist strikes including one targeting an army camp in Uri. 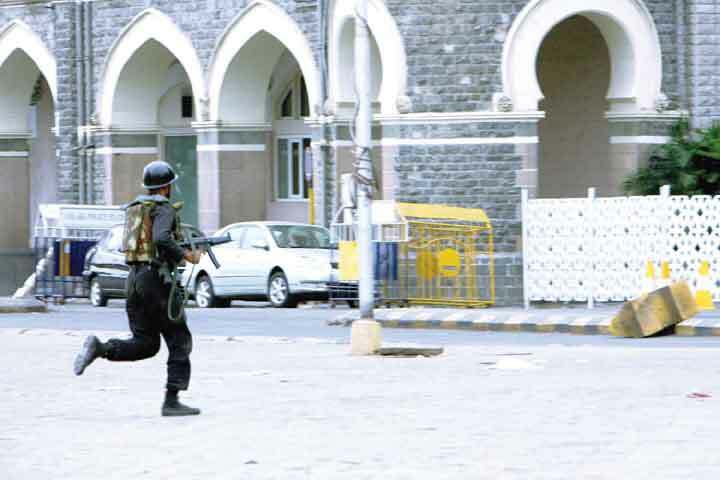 To count the number of terrorist incidents India has faced over the past three decades, is a mathematical exercise, but India is presently at the sixth position on the Global Terrorism Index 2014 and as per the US State Department, India suffers two per cent of the global casualties on account of terrorism annually albeit having 17.5 per cent of world population. What is more significant is that we are being subjected to sub-conventional war by both Pakistan and China including through territories of our neighbouring countries. A global scenario projected by Britain’s ministry of defence says that by 2045 India is likely to have the ability to project conventional military power globally with the third largest defence expenditure pegged at 654 billion US dollars. Titled ‘Global Strategic Trends – Out to 2045’, the publication by the ministry’s Development, Concepts and Doctrine Centre sets out what the world might look like 30 years from now. It looks at a range variables, including energy, mineral resources, conflict and migration. presence both regionally and further afield”, the paper says. The analysis on South & East Asia and Oceania says: “The military capabilities of other countries in the region are also likely to increase but only China, India, Australia, Japan (which is actively increasing its military capability) and South Korea are likely to have the ability to project conventional military power globally”. BEIJING — China did not rush reinforcements to its border with North Korea following a rise in tensions between the two Koreas last week, China’s Defence Ministry said on Thursday, adding that its forces were in normal deployment. Pictures circulated on Chinese websites over the weekend, which were picked up by some overseas Chinese newspapers, appeared to show the People’s Liberation Army bringing in additional tanks to Yanbian, a Chinese border city. Chinese Defence Ministry spokesman Yang Yujun said those reports were “untrue and completely hyped up”. “At present, the situation on the Chinese-North Korean border is generally stable, and Chinese border defense forces have all along maintained normal combat readiness and state of training,” he told a monthly news briefing, without elaborating. North and South Korea agreed this week to end a military standoff that sparked an exchange of artillery fire and had ratcheted up tension on one of the world’s most heavily-fortified borders. Will China's Economic Collapse Save the South China Sea? Not too long ago, the Chinese economy appeared to defy both gravity and doomsayers. Despite years of unbalanced growth, Beijing has managed to rely on investment to power its economy and keep growth high. The country’s binge on credit since 2009, which has brought the debt-to-GDP ratio close to 300 percent, a perilous level for an upper-middle income country, has not triggered a financial crisis. Its real estate bubble, perhaps the largest the world has ever seen in terms of completed but unoccupied residential housing, is leaking air but has yet to crash totally. It was this appearance of economic invincibility that has emboldened the Chinese government to embark on an ambitious but highly-risky new foreign policy in the last few years. Many Chinese elites saw the United States and the rest of the West as in inexorable decline and China’s rise unstoppable. Hubris has led to the adoption of economic and security policies that would certainly make the late Deng Xiaoping turn in his grave. Instead of maintaining a low profile, Beijing has greatly extended its economic commitments abroad and begun openly challenging the U.S.-led security order in East Asia. Internationalizing the renminbi would make sense as the outcome of a long-term process of opening up capital markets and liberalizing exchange and interest rates, but it should not be driving near-term policy choices that must respond to cyclical market shifts. China wants the renminbi to be part of the International Monetary Fund’s basket of elite currencies—the Special Drawing Rights—and a major global currency for trade and reserve holdings. For this purpose it sees a stable and strong renminbi as desirable. It also wants the value of the renminbi to be increasingly determined by market forces. But the leadership cannot have it both ways unless it takes a different approach to managing rate adjustments. Its efforts so far have led to this month’s unexpected devaluation, generating turmoil and the widespread perception that Beijing has lost control over economic decision-making. Internationalizing the renminbi would make sense as the outcome of a long-term process of opening up capital markets and liberalizing exchange and interest rates but it should not be driving near-term policy choices that must respond to cyclical market shifts. Yet this is what has been happening, causing confusion. WASHINGTON (Reuters) - A British hacker who U.S. and European officials said became a top cyber expert for Islamic State in Syria has been killed in a U.S. drone strike, a U.S. source familiar with the matter said on Wednesday. It was the second reported killing of a senior Islamic State figure in the last eight days. Islamic State’s second-in-command was killed in a U.S. air strike near Mosul, Iraq, on Aug. 18. The source indicated that the U.S. Defense Department was likely involved in the drone strike that killed British hacker Junaid Hussain, a former resident of Birmingham, England. U.S. and European government sources told Reuters earlier this year that they believed Hussain was the leader of CyberCaliphate, a hacking group which in January attacked a Twitter account belonging to the Pentagon, though the sources said they did not know if he was personally involved. The Incirlik deal helped Turkish President Erdoğan reassert himself over Prime Minister Davutoğlu as the leader of the “new Turkey,” kicking off the country’s new war on terror. And through it all, an intra-Kurdish civil war is dragging on, pitting Kurdish nationalists against Kurdish Islamists. If you live inside the Beltway these days, you have to have an ISIS plan. Part of living in the nation’s capital means accepting a tacit interest in all its attendant politics and intrigue. Go to a bar, get in a cab, meet a friend for lunch – 9 times out of 10, you’ll find yourself presenting a comprehensive opinion on ISIS. But despite being the buzzword of one of the world’s most powerful cities for over a year, the “ISIS Problem” still remains without a satisfactory solution. While everyone – bartenders, cabbies, lunch friends – can agree that the group and its actions present a real problem for global security, few can come up with anything approaching a comprehensive strategy for its defeat. Global security can probably survive without the strategizing of cabbies and bartenders, but the fact remains that the White House, and the national security infrastructure at large, has also failed to roll out anything approaching a comprehensive ISIS strategy in the last year. President Obama was roundly criticized for this lack of direction last fall, and with the one-year anniversary of the anti-ISIS bombing campaign come and gone, media and senior military officials have decried the focus and intensity of the effort. Despite the discomfort, Obama’s recent foreign policy coup in securing a palatable Iran deal coupled with a lack of high-profile American kidnappings in the last few months have led to general complacency about the ISIS issue in the widespread media. On July 22, after months of negotiations, Turkey finally agreedto allow the United States to use its bases, most importantly Incirlik Air Base, for manned and unmanned strike sorties against the self-declared Islamic State. Prior to this, Turkey had only permitted that its sovereign territory be used for unarmed surveillance drone flights and (apparently) a combat search and rescue element. This latest development was characterized as a “game-changer” by a senior Obama administration official, in particular for more intensive bombing of the Islamic State in northern Syria. Rather than flying from carriers or Persian Gulf bases, flying out of Incirlik significantly increases the time that coalition strike aircraft can loiter above Islamic State-controlled territories and, potentially, provide close air support for coalition-backed opposition forces on the ground, including the Pentagon-trained rebels that entered Syria on July 12. The Middle East is running out of water. Can they adapt? The world’s demand for water is likely to surge in the next few decades, severely threatening national water security and economic growth in some parts of the world, experts say. Rising global population and decreasing usable water supplies will cause the world’s demand for water to surge in the next few decades and intensify conflict in many countries, experts warn. In the rankings by the World Resources Institute (WRI), fourteen of the 33 countries most likely to be water stressed in 2040 are in the Middle East, including nine considered extremely highly stressed – Bahrain, Kuwait, Palestine, Qatar, United Arab Emirates, Israel, Saudi Arabia, Oman, and Lebanon. According to the researchers, the Middle East is already the least water-secure region in the world, because it draws heavily upon groundwater and desalinated sea water and faces "exceptional water-related challenges for the foreseeable future," they say. The recent fluctuations in China's currency typify the best and worst of a globalized world, where developments in one place can instantly change the political and financial calculations of governments in others. For most of human history, the communities, cultures and economies of the world existed independently of one another, separated as they were by vast distances and difficult terrain. It would, for instance, take months or even years for news of China to reach Europe across the great Silk Road trading route during the height of its use some 1,000 years ago. Even then, the communities along that route could hardly be considered entirely coherent. Much has been written about the transformation of the United States Air Force between the Vietnam War and Operation DESERT STORM. In his classic book Sierra Hotel, C.R. Anderegg documented the revolution in training that occurred at the Fighter Weapons School at Nellis Air Force Base during this era, led by the so-called “Fighter Mafia” of Air Force legends such as John Jumper, Ron Keys and Moody Suter. Steve Davies opened the door to the secret MiG program known as “Constant Peg” that occurred during the same time period in his book Red Eagles, while former Red Eagles Squadron Commander Gail “Evil” Peck gave his unique perspective on this historically significant squadron in his book America’s Secret MiG Squadron. Republican liberty in America can be threatened from within by tyranny, oligarchy or anarchy. External threats can also undermine the American way of life. If world conditions become so dangerous that the United States can maintain its national independence only by militarizing society and conscripting the economy, then the American people—reluctantly, perhaps—will have purchased national security at the expense of individual liberty. World history has gone through three phases since World War II: the bipolar era in the Cold War period; the unipolar era in the post–Cold War period; and, with the natural return of China and India as great powers, we are on the verge of entering a truly multipolar era. American power was used wisely, and with great restraint, in the Cold War, but unwisely, and with great abandon, in the post–Cold War era. America now has the opportunity to use its power wisely again in the multipolar era. During the Cold War, America accumulated genuine allies. The Marshall Plan and American generosity connected American and European hearts. On many challenges, America allowed others to take the lead. As Singapore’s ambassador to the United Nations in the 1980s, I saw American wisdom in allowing the Association of Southeast Asian Nations to take the lead in reversing the Soviet-supported Vietnamese occupation of Cambodia. Multilateralism was supported. American diplomats were charming and persuasive. My American colleague at the UN, the legendary Vernon Walters, was remarkably humble. If I were American, I would be strongly tempted to be an isolationist. It is clearly in Japan’s interests that the United States should constrain China. It is clearly in the European Union’s interests that the United States should face down Russia. It is clearly in Israel’s interests that the United States should check Iran’s regional ambitions. But it is much less obvious that any of these actions are directly beneficial to the United States. Neither China nor Russia nor Iran poses a clear and present danger to America. But confronting these countries with “red lines” in their own backyards does create a genuine risk of war. The case for American isolationism is further strengthened by recent experiences with unsuccessful military interventions. After Iraq and Afghanistan, it would require culpable naïveté to expect that U.S. troops can sort out a Middle East that faces twenty years of turmoil. Finally, the prospect of American “energy independence” makes isolationism look economically feasible. So the case for isolationism is clearly much stronger than it has been for many years. But, in the end, it is not conclusive. The Israeli Air Force (IAF) has been instrumental in Israel’s defense, providing air superiority over Israel, close air support over Israeli ground forces, and performing strikes against targets deep in the enemy’s homeland. Over the past three decades it has also taken on a counterterrorism role, using airstrikesto assassinate terrorist leaders and destroy caches of weapons from the Tunis to the Sudan. At a time when the oil price is languishing at its lowest level in six years, producers need to find half a trillion dollars to repay debt. Some might not make it. Despite its military exercises and decision to boost the defenses of the Baltic States, NATO is wholly unprepared for a competition with Russia. “Russia is preparing for a conflict with NATO and NATO is preparing for a possible confrontation with Russia.” These are provocative words from the European Leadership Network, a British think tank. The think tank argues that the recent spate of exercises conducted by NATO and Russia is increasing tensions between both sides. They are threatening European security. Europe’s security architecture was completely undermined when Russia annexed Crimea in March 2014. Since then, Russian-backed separatists have destabilized large parts of eastern Ukraine. The result is that Europe’s post-Cold War security architecture has lost any kind of predictability. Russia’s violation of internationally recognized borders has led to a certain kind of insecurity in Europe, with growing fears by the Baltic states and other NATO members about Russia’s long-term intentions along NATO’s eastern and northern flanks. GOOGLE+ That is why over the past few months NATO has been conducting exercises in the region. The largest, held in June, consisted of 15,000 troops. Belatedly, NATO has agreed to boost the defenses of the Baltic states, Poland and the Alliance’s southern flank in order to reassure its allies. WASHINGTON — The transmission of now-classified information across Hillary Rodham Clinton’s private email is consistent with a State Department culture in which diplomats routinely sent secret material on unsecured email during the past two administrations, according to documents reviewed by The Associated Press. No, Jorge Ramos, the anchor of Univision, was not, as Donald Trump would have it, “raving like a madman,” as he initially tried to interrogate him about immigration. Quite the contrary. Ramos was far too shrewd for that. He wanted to profit from the encounter, which is what he did by turning himself into a martyr of a mini-deportation executed by Trump’s entourage. Conflict sells. But this wasn’t investigative journalism; it was an exercise in self-promotion on behalf of the entertainment-industrial complex. Let’s face it: there is nothing, as Greg Sargent recently noted in the Washington Post, evasive or unclear or confusing about Trump’s stance on immigration—he wants what he calls the “humane” deportation of illegal immigrants. Not “self-deportation.” Not some of them. All of them. Plus a fence. The flooding of New Orleans during Hurricane Katrina was a human-made disaster, not a natural one. The flood-protection system for the city had been poorly designed and maintained. It also turned out that a series of waterway engineering decisions to try to contain the flow of the Mississippi River and to facilitate river navigation to and from the Gulf of Mexico, were badly out of sync with the region’s ecosystem. In short, it was a failure of critical infrastructure at multiple levels that nearly doomed one of America’s major cities. Ten years later, what happened to New Orleans should serve as a forceful reminder of the costly consequences of hubris, denial, and neglect. Sadly, though, this attitude continues to characterize the relationship Americans have with their built and natural environments. Donald Trump's Secret Weapon: The Silent Majority? No one expects detailed foreign policy agendas this early in the race, but the GOP field could be doing much better. CINCINNATI, Ohio – Promoting the development of cargo drones will be the focus of next year’s operational energy capability improvement fund, according to a Defense Department official. OECIF provides seed money to programs that could potentially improve the energy usage of deployed forces or deliver long-term cost savings. By using UAVs to transport cargo “you can take those trucks [that would normally have to be used to transport supplies] off the road or you can navigate or circumvent bodies of water without having to send actual forces or troops or ships” to deliver materiel, Mapes said Aug. 25 at a National Defense Industrial Association power conference in Cincinnati, Ohio. 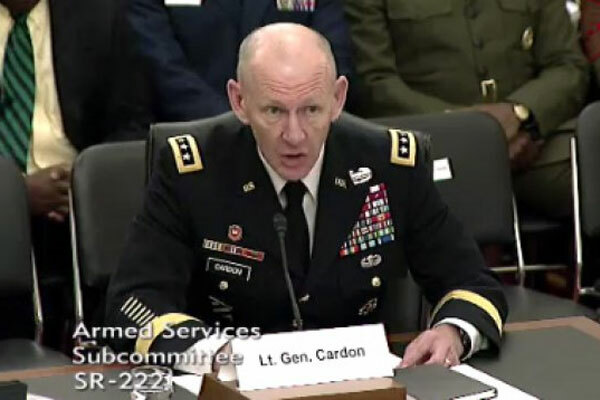 Cardon, commander of U.S. Army Cyber Command, testified on a panel during a Senate Armed Services subcommittee on emerging threats and capabilities, "Military Cyber Programs and Posture," hearing, April 14, 2015. Two months after China perpetrated one of the largest breaches of federal data in American history, the commanding general of the U.S. Army Cyber Command on Tuesday proposed a new military in which all operations "converge" to strengthen the nation's digital defenses. Speaking before a crowd of 750 people at TechNet Augusta's third annual military conference, Lt. Gen. Edward Cardon laid the groundwork for a new Army that's concentrated on stopping "hybrid warfare," a type of cyberattack in which a single person can destroy an entire city's infrastructure with a laptop. Under Cardon's vision, Signal Corps officers would manage communications systems, public affairs staff would oversee information operations and develop social media applications, and military intelligence units would collect and record top-secret data for the Army Cyber Command. The vast majority of enlisted soldiers are eligible to apply for a yearlong training program. The Army has turned to its own ranks in hopes of satisfying its growing need for talented cybersecurity professionals. In June, the agency announced that all E-1- through E-8-ranked soldiers, regardless of their technical background, could apply to participate in a yearlong cyber training program, according to a recent Army press release. Those successful candidates who complete the program would then be reclassified into the 17C military occupational specialty – also known as cyber operations specialist. “This is another step forward in manning and managing the cyber branch to meet the needs of the Army,” David Ruderman in the Public Affairs Office at the Army Human Resources Command, told Nextgov. In recent years, the federal government has struggled to recruit enough skilled cybersecurity talent. The number of cyber professional vacancies in government hovers around 40,000, according to the Army’s April 2015 Cyber Private Public Partnership Strategic Vision. NELLIS AIR FORCE BASE, Nevada – On his way to Silicon Valley, Defense Secretary Ash Carter said a recent intrusion into a Joint Chiefs of Staff computer network shows the military does not have the cyber defenses it needs. Now he wants help. “That is evidence that we’re not doing as good as we need to do in job one in cyber, which is defending our own networks,” Carter said of the Joint Chiefs breach after receiving classified briefings during an Air Force exercise in cyber and space defenses. “Our military is empowered by and also dependent upon networks for its effective operations. So, we have to be good, and I would say we have to be better at network defense than we are now.” The compromised Joint Chiefs unclassified email server went back online earlier this month. Perhaps the most crucial infrastructure in the US – and globally – is the country’s intelligence and security community, which ensures national security for the US and its allies, thus ensuring that global economic commerce operates in a stable and secure environment. But can risk management also play an effective role in the “shadow work” of the intelligence and security sector? In a question and answer session, Anne Neuberger, Chief Risk Officer at the National Security Agency (NSA), presents a strong case in support of this idea. Neuberger serves as NSA’s first Chief Risk Officer and is a member of NSA’s Senior Leadership Team. As Chief Risk Officer, she is responsible for creating and maturing a methodology and processes to assess risk across NSA’s mission, and implementing an enterprise risk management process. Prior to her assignment as Chief Risk Officer, she served as the director of NSA’s Commercial Solutions Center, responsible for NSA’s interface and partnerships with the private sector. Prior to that, she served as Special Assistant to the Director for the Enduring Security Framework (ESF), building a deep and effective partnership between leading companies, the Departments of Defense, Homeland Security, NIST and NSA on initiatives across a broad set of technical and policy areas. In this capacity, she led the Department of Defense’s Defense Industrial Base Pilot, defining the first policy and legal framework for government sharing of classified signatures and indicators with Internet Service Providers (ISPs). Prior to ESF, she served on the US Cyber Command Implementation Team which led the planning and standup of USCYBERCOM. The U.S. Army and the U.S. Marine Corps have chosen their supplier for Joint Light Tactical Vehicles (JLTVs), their replacement for Humvees, and supplement to MRAP All Terrain Vehicles (M-ATVs). For now, and presumably the next decade, that supplier is Wisconsin’s Oshkosh Truck. The stakes were high, as the JLTV contract may be the last large military truck contract in North American for at least a decade. But if Oshkosh can keep its pencils sharp—and that’s a meaningful if—it may hold that franchise for a few decades after that. As the Washington Post, National Defense magazine, and everyone else reported, the initial contract awards $6.7 billion for 17,000 vehicles over seven years. Low-rate initial production will begin late this year, and get rolling in about ten months. The Army’s first unit to receive JLTVs should fill its motor pool by 2018. The franchise may not be quite large as that of the Humvee, but probably as long-lasting. The USMC will have bought its lot of 5,500 by 2021, but the Army foresees buying 49,000 trucks over many years to come. With repeated rebuilds—an exercise in which Oshkosh excels—those vehicles could be in service until 2040, and the entire program could be worth some $30 billion. That’s not a Joint Strike Fighter, but it’s noticeable around Lake Winnebago. Champagne corks were likely popping, and over coffee in the morning, the news may even outrank talk of next weekend’s preseason Packers game.